When marriage doesn't workout & divorce is the only option what happens to the house & car? Deciding who gets it may be a challenge for some soon-to-be divorced couples, the 'Local Records Office' researched relationships & break-ups in Pekin, IL. When you start stepping back and taking an overall on your marriage, and the complex problems marriages face, there are some facts to know to sustain a happy marriage or revive an unhappy one. As these are steps to guide you through these troubled waters and can beset all relationships. As getting divorces can become a tremendous amount to handle emotionally, socially, legally and financially, and is not something you take on lightly unless you are absolutely sure there are no other viable options. Good credit is the foundation to become a financial well-being, especially while being single. So get this done as soon as possible. Though, one of the ways separating couples best work out the separation of property is by having both sides feel fair. Though, keep in mind that the division may not come out to an “equal” share. While you are still technically legally married, it will not help your divorce case or settlement negotiations one bit. As it may be tempting to treat yourself to something nice, this is not the time to make a major purchase or luxury travel and you don’t want to be accused of dissipating assets. Separation is not the time to share on Facebook, Twitter, etc. Dividing properties and finding agreements specifying who gets what are some of the financial complications we are faced with when going through a separation. As you are dividing your property and your debt, it is best to come up with a roughly equal “net” share. First, you add up the value of all the property (assets), then, you subtract the total amount of your debt. And what is left, is the net value of the community estate that can then be divided in between both parties. The best way to start is by making a list of everything that you own. Figure out which items are separate properties, community property and what the fair market value is for each item. You will also be doing this to complete your divorce when you fill out the Schedule of Assets and Debts (Form FL-142). One of the most important parts of this process is being honest and listing everything that you own. As one decides to keep something hidden, it will soon surface and penalties can become very serious. · There is a huge difference in how you value the community property. This will help with deciding whether the case can be settled or whether or not you will have to go to trial. Keep in mind the main goal is to split the community property so that you and your spouse or domestic partner ends up with a rough equal net share. Once you have divided your property, you may need to take additional steps when your ex-spouse or domestic partner does not follow your agreement or the court orders. When your marital settlement agreement (MSA) has become “merged” or “incorporated” into (become part of) your judgment, then you can enforce it just as a family law money judgment. Read Collect Your Family Law Money Judgment for more information and instructions to follow. Financial mediation –may help with solving any disagreements of money issues and on how to divide your property. Hiring a private mediator will help with working out a fair way to in dividing your property and debts, as well as other issues such as support or custody and visitation rights for your children. Private mediators are usually lawyers or mental health professionals and generally charge around $50-$250 an hour. Learn here how mediation can better assist you. When you are going through a valuable asset, such as a pension plan, it is very technical and has special circumstances, as it does not apply to any other kind of asset. Therefore, it is advisable to get a lawyer’s help when you are dealing with a pension. Attach the Pension Benefits –Attachment to Judgment (Form FL-348) and follow the instructions further, (as they are listed on this form). A pension must be “joined” as a party in your divorce cash before the judge issues an order about how the pension will be divided. Read the Retirement Plan Joinder- Information Sheet (Form FL-318-INFO) and figure out whether you and your spouse’s or partner’s pension plan needs to be joined in your divorce case. The court orders that the details of how the pension (or pensions) will be divided and is called a qualified domestic relations order (QDRO) and must be approved by the benefits provider and the judge to assure the spouse or partner is not the employee of the company or organizations to receive the future benefits. When you make mistakes on this very complicated form, the results can really harm you, and it is worth it to pay a lawyer to correctly prepare the QDRO for you. Click here for help with finding a lawyer. Therefore, the inheritance belongs to the person that received the inheritance and is not subject to equitable distribution or to be divided between parties during a divorce. However, rules vary greatly among different states and the state laws determine how an inheritance is treated once it is shared. California has a distinction of being among the few as America’s community property states. However, when the property is inherited before marriage, the law treats an inheritance as your separate property. When you inherit after you are married, the will should preferably state the bequest is made solely to you. IF the will states the gift is to you and your family or kin, it could create a gray area and when you get a divorce, your spouse may make a claim for it, and you would have the burden of proof to be on you to prove that the decedent intended to leave the asset to you alone. When you are not too careful, you can invalidate your separate property in California when you are not careful. In terms, as “commingling the inheritance” loses its immunity. For an example, when inherited funds are deposited into a joint account, or the martial funds are deposited into an inheritance account, the money loses its direct passage from the decedent to you –and commingling has occurred. When you inherit real estate, you and your spouse move in and use it as a marital home, it may be turned to be claimed as a community property. When you rent the home out and spend the rental proceeds on you are your spouse or invest in a joint asset, you have also muddied the waters. So, therefore, it is ideal to segregate the money into a separate account into your own name. And while the general rule is the comingling funds converts the assets into marital property, some courts hold that only a portion, or none, of the commingled funds, may remain as a separate property IF the party can demonstrate the funds were never to be intended to be shared. State laws also determine when a spouse’s inheritance was acquired before the marriage and how it might be treated in the event of a divorce. It is best to seek advice from a family law attorney / a divorce attorney who specializes in inheritance laws, as they can best handle these types of issues. While you can also lose sole ownership through a legal process called Transmutation, the California law makes it nearly impossible to do this unintentionally. Transmutation occurs when you gift either some or your entire inheritance to your spouse. As an example, when you inherit $1 million and then give your spouse $500,000 of the money, you segregate the remaining balance of $500,000 in an asset that is solely in your name, and your $500,000 is safe, but you have transmuted the portion you gave. Whether it becomes your spouse’s property of the community property, all depends on how you identify it. The California law requires the written document from you, stating that you knowingly consent to the change of ownership of the asset. 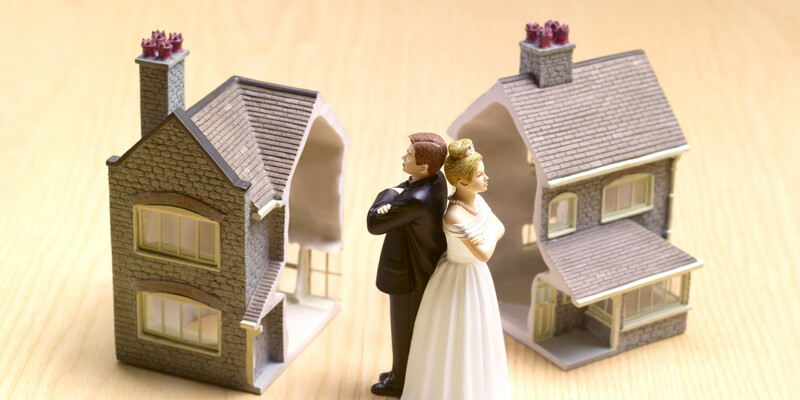 You can state whether it is a gift to become community property or your spouse’s sole and separate property. And while you are not entirely at the mercy of California’s community property laws when you receive an inheritance while you are married, a postnuptial agreement can override the law. And when your spouse agrees that the inheritance is yours alone, no matter what you do with it, you can both sign an agreement to that effect. And the courts will usually honor it in the event of a divorce.